It is with great sadness the family announces the passing of Gloria Lorraine (Golding) Blagdon which occurred at the Saint John Regional Hospital on Sunday, April 7th, 2019. Born 1941, in Saint John, she was the daughter of the late George and Elizabeth (Phillips) Golding. Gloria was a homemaker throughout her life, proudly raising her 3 sons who were her pride and joy. Her faith in the Lord guided her life. She was a member of Full Gospel Assembly and loved giving back and helping others in her community. Gloria is survived by her loving and devoted husband John of 59 years; sons John Wayne of Kelowna, BC, Kenneth Paul of Kelowna, BC, Kevin George (Fran Cyr) of Saint John; 5 grandchildren, 5 great grandchildren; as well as several nieces, nephews and friends. Besides her parents, Gloria was predeceased by her brothers Harry, George, Kenneth and Walter and sisters Gertie, Ethel, Dorothy, Hazel, Grace, Dora, Donna, Junie, and Janet. 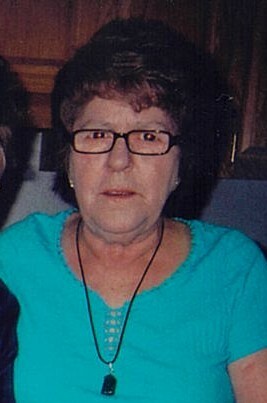 Gloria was the last surviving member of her immediate family. Arrangements are under the direction of Fundy Funeral Home, 230 Westmorland Road (646-2424) with visitation being held on Tuesday, April 9th from 2 to 4 and 6 to 8 p.m. A Memorial Service will take place from the Fundy Funeral Home chapel on Wednesday, April 10th at 2 p.m. Interment will be held at Cedar Hill Cemetery at a later date. A special thank you to Bev, Fran, Bob and Alan Marks. Donations in memory of Gloria may be made to The Salvation Army, Full Gospel Assembly or to the charity of the donor’s choice.